Here it is, my friends – the first Trippin’ The Rift Records release of the year 2012. The long pause after the last release doesn’t mean that things are slowing down at TTRR – quite the opposite in fact – 4 new artists joined our family, many exciting releases in the works – it just means that we’re growing and working harder on doing things properly. And speaking of doing things properly – The Developing sure knows what that means. We are proud to present his new LP The Puzzle – a properly done chillout downtempo record, 12 clever and beautifully crafted tracks that follow genre traditions set by 9 Lazy 9 and Nightmares On Wax but don’t fall into traps of genre stereotypes. All the pieces of The Puzzle are in the box but what the complete picture is going to look like – The Developing leaves that entirely up to you. Through the suave beats – sometimes sweetly retro, sometimes boldly innovative – and jazzy sax The Puzzle creates a series of images that are fun to look at but not as simple to interpret as it may seem. You gotta love this kind of puzzle – no matter which way you arrange the pieces – there is no wrong solution, just a different picture every time, equally beautiful and entertaining. Are you up for the challenge? 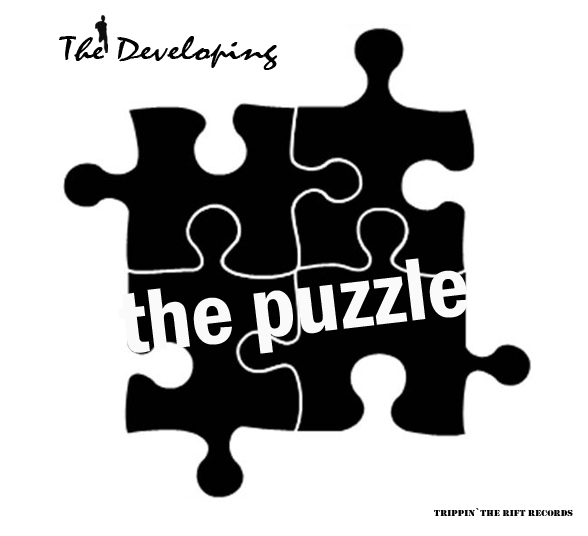 What kind of picture will you put together with the pieces of The Puzzle? Let’s find out on July 20, when the album will be available wherever you buy your music. For now, here are a couple of pieces to get you started.